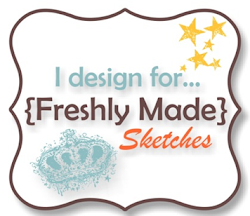 It’s Wednesday so that means we have a new sketch at Freshly Made Sketches! 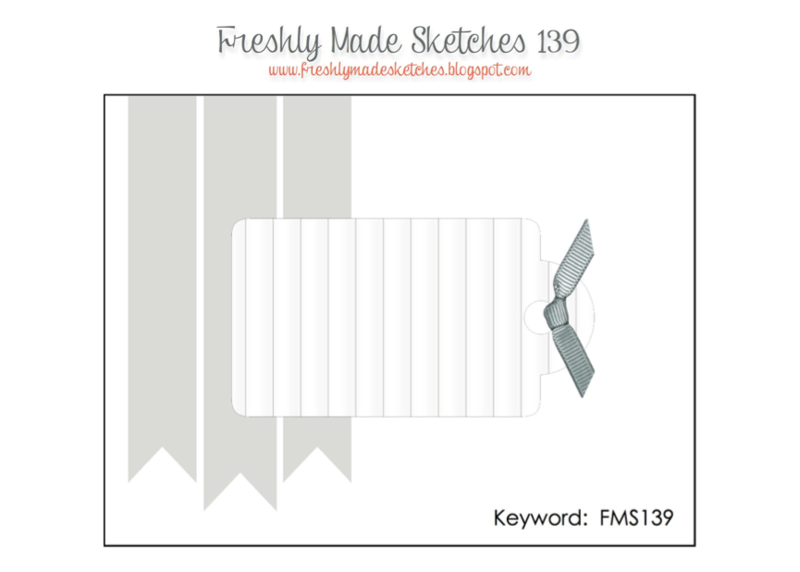 This week our sketch to brought to you by the lovely and very creative Rita Wright. Even thought I adore Rita’s sketch as it is, I ended up flipping the sketch as it worked for my sentiment/butterfly combo. The Clean Team have created cards that are going to wow you, so head over to the challenge and check them out. This makes me happy! Love the beautiful tag and the colors are striking! I don’t see the fresh prints designer paper in the new catalog. Wow, this is really a gorgeous card! Beautiful card Narelle lovely colors together the tag stands out !!! Ack! You’ve done it again with your gorgeous layers, beautiful images and your daring in cutting some black leaves! I always love your style, Narelle! I even recently stamped some leaves and didn’t use green — I thought about you when I did it, too. Thanks for always inspiring me! Beautiful card! Once again you’ve created a gorgeous card with an amazing color scheme. The butterfly and leaves with the sentiment and layers is so beautiful. Love how you turned the sketch. It has opened up another world of possibilities! So, so pretty Narelle!!! Love the flip on the sketch and your layering just makes this a wow! This is just stunning, Cuz. I love the colors and LOVE your tag! Beautiful card Narelle – as always! I love that colour combination and that butterfly looks superb! This card definitely makes me happy!